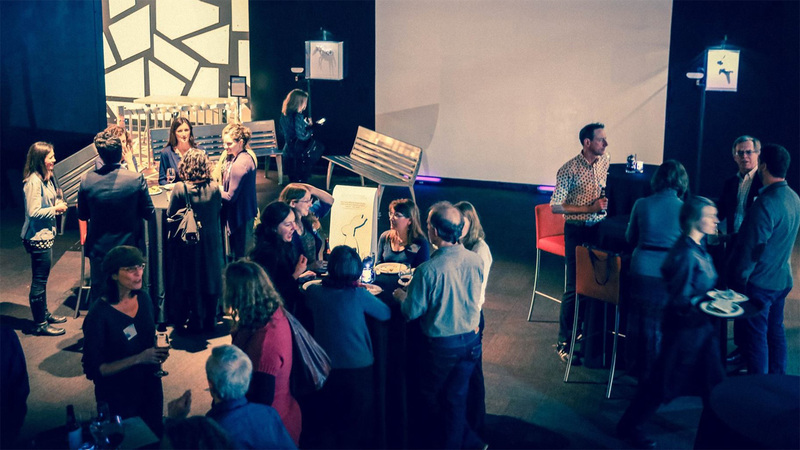 NSWA celebrated the new year on Jan. 11 at a Seattle landmark that has wowed science fans of all ages for more than 50 years, the Pacific Science Center. The event was a chance to connect with science writers from all around the Pacific Northwest. Members and guests networked in the center’s exclusive event space, the future home of an exciting new exhibit on the nature of reality. A few enjoyed exciting laser shows in the 80 ft. wide domed theater adjacent to the party space. Others took fun snapshots with friends at a “green screen” photo station. We also welcomed the new board and displayed recent work by members. A few partygoers extended the evening with a viewing of the new Star Wars: The Last Jedi movie in the nearby IMAX theater. Check out the photos on Facebook. Thanks to the following sponsors for supporting the event. Interested in becoming a sponsor? NSWA maintains a calendar of science-related events in the Pacific Northwest. Have an idea? Tell us. 7:00 pm – 8:30 pm, April 23, 2019 – Going to Extremes: Is It Climate Change or Just Bad Weather?